In order to join this group, you must login or register a new account. After you have successfully done so, you will need to request membership again. 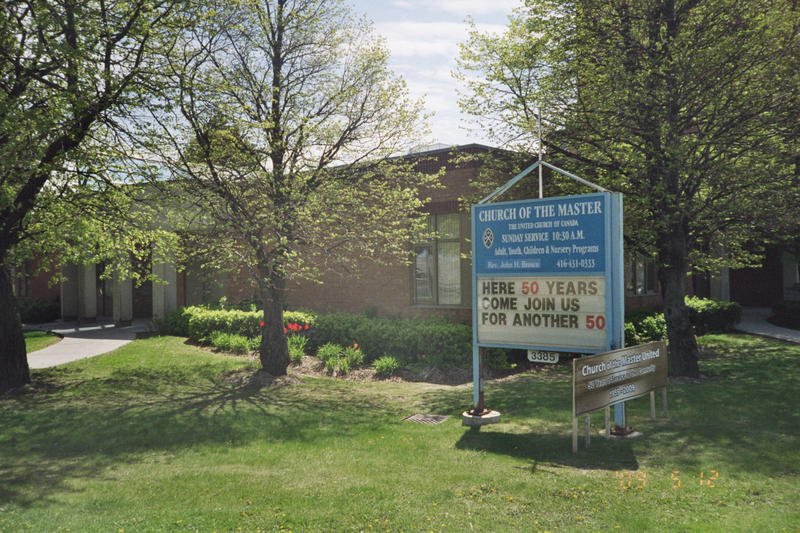 ABOUT US: Church of the Master began as Bendale United in 1959, and the current name was adopted in 1962. Since then, we have served our members and the community of central Scarborough through meaningful worship, preaching and music; infant care, child and adult faith formation programs; pastoral care provided by both clergy and elders; active community outreach initiatives; and friendly hospitality and fellowship. In 1988, the first steps were taken to initiate a mixed non-profit housing project on our site, and in 1992 the Rev. Donald E.C. McLean Building was opened. This 48 unit complex has helped many people with subsidized housing since, and is an outreach effort of which we are proud. The interior of our Church was also renovated at the same time, leaving us with a sanctuary noted for both its intimacy and acoustics. You are welcome and invited to be a part of our journey of discovery as we continue to seek God's guidance for our mission and ministry. 10:30 a.m. each Sunday in our unique circular sanctuary. Programs for Children & Youth also available most Sundays. Wheelchair accessible & Hearing assist devices available. Located in central Scarborough our neighbourhood is a mix of apartments and single family residential homes built in 1960's, and includes the renovated Cedarbrae Mall, Cedarbrae Collegiate High School, parkland, and Scarborough General Hospital. Contact Clara in our office at the phone or email addresses above. Clara usually has the office open every weekday morning. Afternoon office hours are available by apointment. 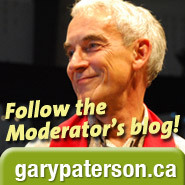 What music is played during services? Matt Kryzanowski treats us to both Organ & some jazzy piano music! Our choir sings traditional & some contemporary songs. We have an informal sharing time with young people early during Sunday services. Plan to linger to enjoy light refreshments & conversation. All are welcome to join in this time of fellowship, as we offer support and friendship to each other. How do people dress for service? Some a little dressy, most casual. What's heavenly about your church? People that care for each other with warmth & love. A facility that is accessible for those with wheelchairs. An open octagonal space with natural light. Rev. T. Leigh Olson came to supply in 2010 and answered God's call to stay! Raised and schooled in the United States, Leigh has been a minister for over 25 years. She has worked with the United Church of Canada since 1995, and her order of ministry was accepted here in 2003. Leigh came to us after ministering at St Luke's United Church in Etobicoke, and earlier assignments in Central Toronto. She has particular commitment and passion for Christian Education, Youth and Pastoral Care but also loves Preaching, music and enjoys all aspects of ministry. Her wam and welcoming personality shines from the pulpit and endears her to all in our church family .. young, old, and in-between! No group posts at this time. All welcome! $6. each player includes prizes refreshments & fun ! Children & Youth always welcome! Weekly fun faith classes for you each Sunday during 10:30 am worship. 1st Sunday of each month we collect non-perishable food to support local food banks, and provide envelopes for financial donations to our own community Benevolent Fund.